The phone call from Oklahoma City came early in the evening of April 6th, 2001 it was from Gary’s son Scott. Scott, the bearer of earth shattering news that his grandson Garrett having been struck by a car was in the hospital. Scott disclosing the circumstances, Garrett’s dog having discovered a way out from their backyard of their home on S.W. 124th St., the 12-year-old boy scurrying the neighborhood, searching for his pet. His father, Chris concerned about Garrett’s absence and knowing the circumstances, started a neighborhood search in his car. Discovering Garrett addressing May Ave., a four lane thoroughfare east of the residence. Stopping his car on May Ave., blinking the headlights from across the road, letting Garrett know he was present. The boy recognizing his Dad’s, running across the four lane road, but apparently not being attentive. 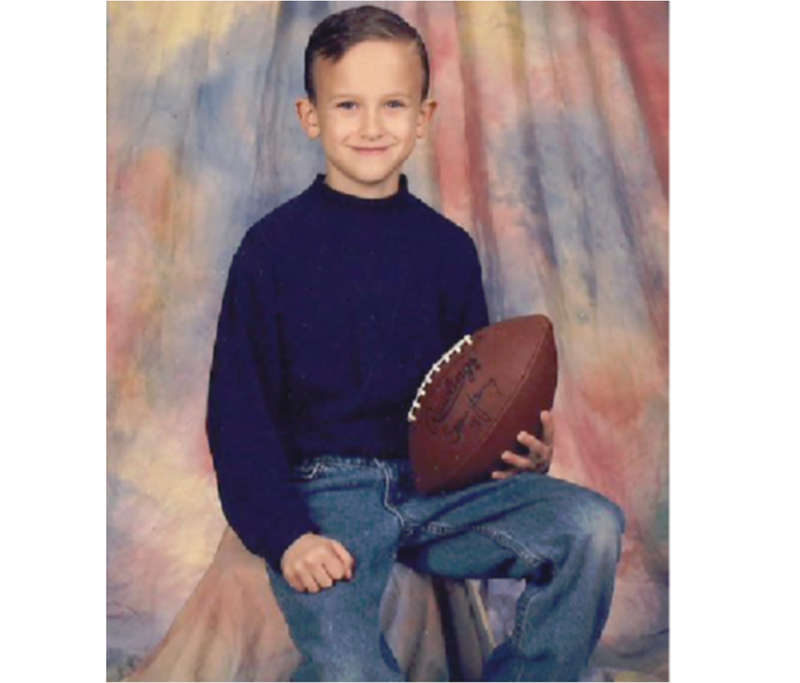 The 12-year-old was struck by an oncoming car, Chris having to witness the harrowing event. The father a Firefighter and EMT immediately going to his son’s aid. Scott, continuing on the phone, sounding very despondent, telling his Dad that Garrett’s prognosis wasn’t good. 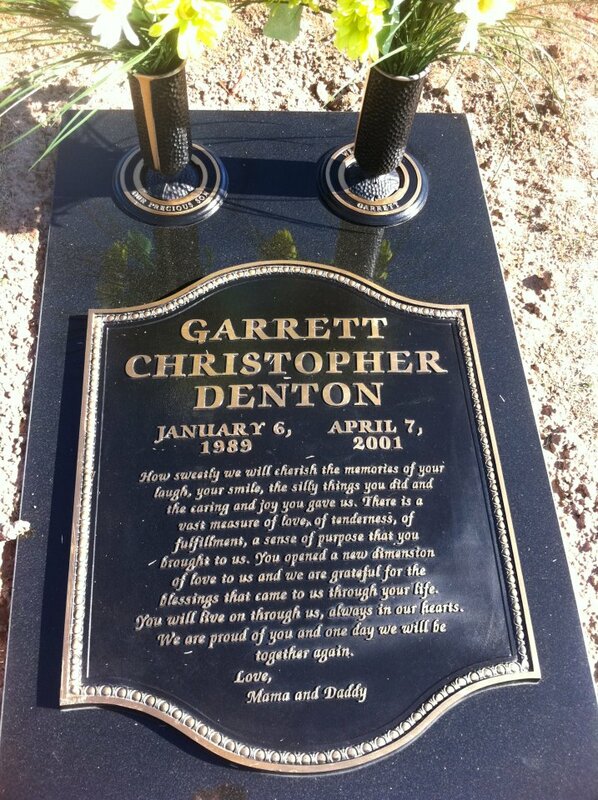 Gary, after receiving the call, an optimist throughout his life, having no idea of the severity of Garrett’s accident, but having hope, not wanting to accept its consequences received another call from his eldest son Scott later that night. 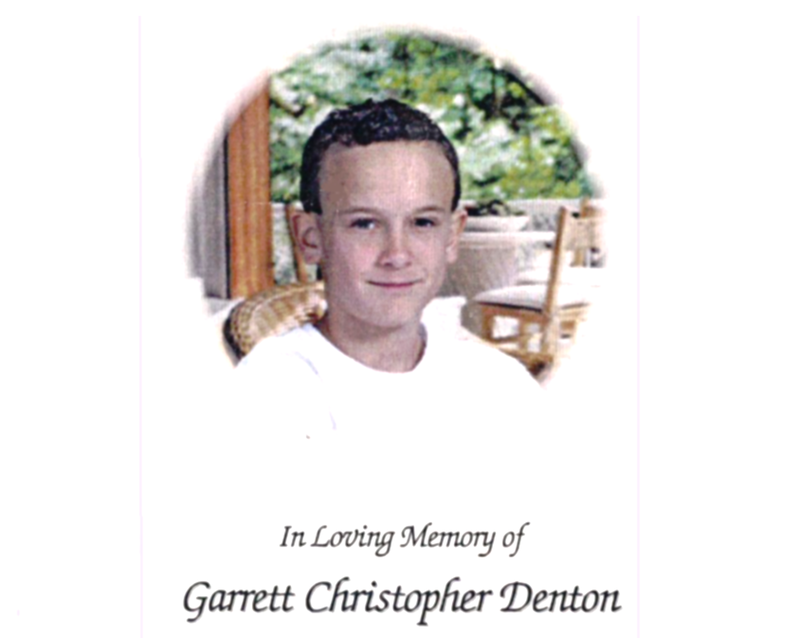 Garrett injuries were carcinogenic, his grandson having passed from this earthly life. A meaningful shock resonated, a hollowness within prevailing, discovering a heartfelt remorse never felt before. His immediate feeling was one of tears and emptiness, a shattering, the acceptance that his grandson was no more. Gary’s thoughts weighted to the countenance of Chris and Marlo, the effect of this tragedy and how it would converse their life. The elder Willson immediately evoking plans for transportation to Oklahoma City. A decision was made that he and his mother would make the journey by air from Sacramento, Gary understanding when Fran decided to forgo the solemn trip. The California flight arriving at Will Rogers International Airport, Gary’s son Scott awaiting their arrival. Lana Norwicki, the mother of Gary’s granddaughter Sarah, offering lodging for Gary and the Great Grandmother Betty, the two finding a welcomed hospitality at Lana’s residence. An arrival from Kansas of Robert and Sandra, Gary’s two youngest fulfilling the complement of Willson children. Gary and his mother making their presence at the mortuary with Marlo to view Garrett and later that night making a second journey to Garrett’s temporary resting place with Robert and Sandra. This trip more emotional than the earlier one, secluded with Robert and Sandra, Gary displaying something that he had held within, openly expressing a meaningful outward expression of his emotion and the loss of his grandson. Marlo and Chris were upset with Vondell L Smith & Sons Mortuary, Garrett having passed in the early hours of the morning of the 7th of April and were unable to schedule Garrett”s final resting place until the 13th, an unheard of six-day waiting period. The departing services were scheduled at The First Southern Baptist Church on Sooner Rd in Del City, Gary having attended services at this church once before with Chris, Marlo and his ex-wife Kaye during a visit to Oklahoma City. The church, a magnificent structure seating over a thousand, with a string lead orchestration and choir providing televised services every Sunday for the interned. Garrett’s memorial service fulfilling over half the church’s capacity, Gary recognizing many acquaintances from years past, especially his longtime friend Jerry Willis and his wife Shirley. The service concluding, a long line police escorted progression proceeding to Resthaven Cemetery on S.W. 104th. 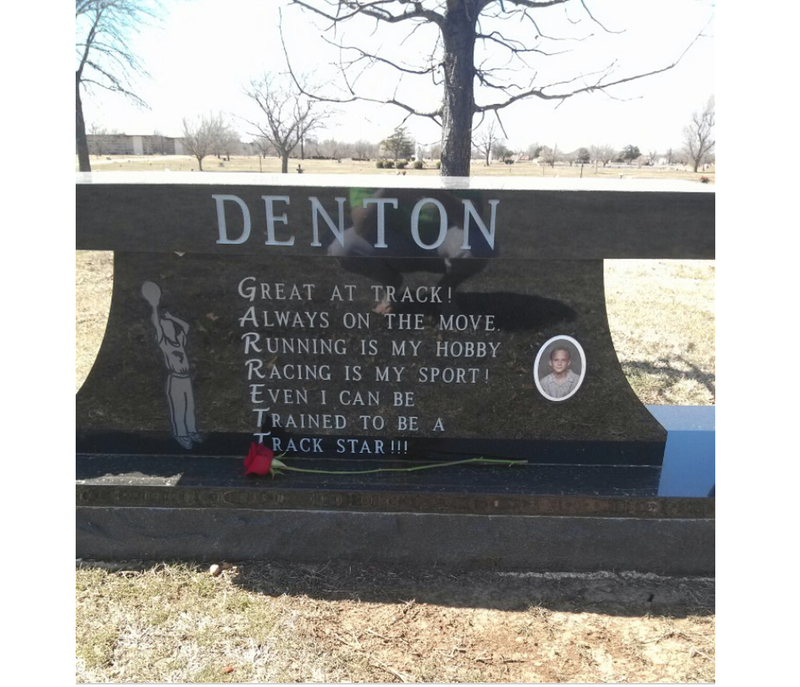 A typical Oklahoma City spring day, the blustering wind gusting out of the south, the canopy for the service, not very stabilized, flapping in the wind, making many uncomfortable, but Gary surmising that it was a reflection and tribute to the energy of the departed youth. Seated with Marlo’s mother, the Grandfather holding Granddaughter Allison during the wind-driven ceremony, an inner despondency prevailing, but holding Allison gave life a meaning. Gary giving encomium to his Daughter and Chris , maintaining an efficacy of composure, those present bearing witness to the family’s tragic loss and conscious of the abrupt change it would make in the couple’s life. Gary was impressed with the Stewart of Chris, his amazing posture considering what he bore witness to, the accident, the rendering of aid, inwardly not accepting the acumen, but outwardly having to accept the outcome. Gary comprehending the heartfelt tragedy would remain with Chris forever, but recognizing his stature thru this event as a testimonial to his strength and fortitude. The return to California was a solemn process, Gary accepting the vitrine of life, but questioning its reason, especially when someone at such a young age and promising future is tragically released from these earthly bonds. This entry was posted on January 12, 2016 at 6:47 am and is filed under Uncategorized. You can follow any responses to this entry through the RSS 2.0 feed. You can leave a response, or trackback from your own site.